At least 74 people were arrested, while 240 others were detained over the past 24 hours, according to Turkish news agencies. Among those detained are doctors, prison guards, academics and university personnel, judges and prosecutors, police officers, teachers, military officers, civil servants, court personnel, businessmen and associations’ personnel. 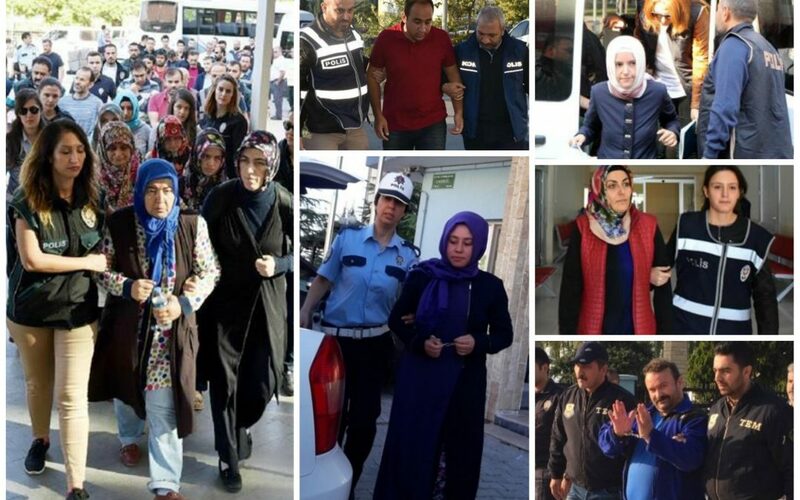 The victims of Thursday’s operations carried out as part of the massive purge have been added to the already-huge group of people who have been either detained or arrested since July 15. Turkey survived a military coup attempt on July 15 that killed over 240 people and wounded more than a thousand others. Immediately after the putsch, the government along with President Recep Tayyip Erdoğan pinned the blame on the Gülen movement. Despite Gülen and the movement having denied the accusation, Erdoğan — calling the coup attempt “a gift from God” — and the government launched a widespread purge aimed at cleansing sympathizers of the movement from within state institutions, dehumanizing its popular figures and putting them in custody. More than 105,000 people have been purged from state bodies, nearly 72,000 detained and some 32,000 arrested since the coup attempt. Arrestees included journalists, judges, prosecutors, police and military officers, academics, governors and even a comedian. Critics argue that lists of Gülen sympathizers were arranged prior to the coup attempt.